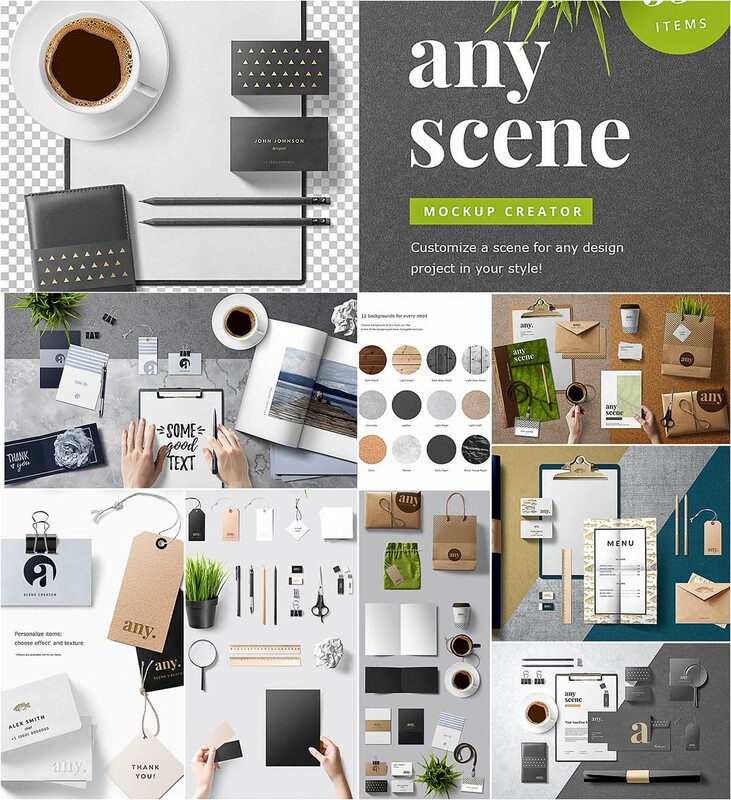 In this pack you will find: 55+ editable items, 4 ready to use scenes, All separated objects and shadows, Easy and fast editing via smart objects, 12+ highly detailed background textures, Professional retouched real photos, Most of the items are fully customizable (color, texture or text effect). Perfect for brand identity presentations, blog images, website, print graphics, hero images, social media posts and more. 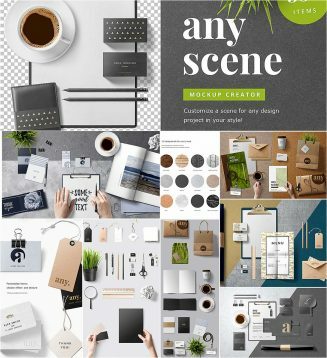 Tags: branding, business card, coffee, creator scene, header, hero, letterhead, menu mockup, mockup, presentation, scene generator, stationery, texture, wood.